A Study of the effects of PEMF on osteoarthritis in dogs was presented at European Society of Veterinary Orthopaedics and Traumatology Congress in 2010. The Rabbit Osteotomy Study -This is work conducted at Texas A&M on New Zealand White Rabbits proved that PEMF stimulated bone regeneration. " Conclusion: This technology clearly increases healing in muscle, tendon, ligament, skin, and bone tissues. The study was terminated because the researchers could clearly see the difference between the active PEMF system and the sham control devices." Although the therapeutic use of pulsed magnetic fields has long been in existence, understanding of its mode of action has been poorly understood. As early as 1940, Nagelshmidt proposed that its action was at the cellular level and this has now been supported by research. It has been shown that damaged cells have a reduced negative charge, with subsequent effect on the flow of ions. This causes a build-up of fluid and prevents the normal cellular metabolism from taking place. Research by Bauer and more recently by Sansaverino(1980), confirmed that pulsed electromagnetic fields can restore the ionic balance and return the cell to its normal functions. Initially, pulsed magnetic fields were applied mainly to fractures, where it was shown that they could bring about a reduction in the time needed for resolution of the fractures. It has been shown that under the influence of a pulsed magnetic field, osteoblasts are attracted to treatment sites, where small eddy currents are then induced into trace elements of ferro-magnetic material within the bone. Also, work by Madronero has shown that calcium salts are purified, hence bone crystals become stronger. More recently, research by Bassett has been investigating the wider applications of pulsed magnetic fields in the area of orthopedics. Bassett also foresaw the extension of pulsedmagnetic field therapy to other areas of medicine. This has now takenplace, with an increase in scientific research and clinical trials inthe UK, and throughout Europe, Russia and the USA. Research into these and other areas have shown good rates of success, with no detrimental side effects. For optimum results, low-frequency sustained pulsed magnetic fields should be applied, with specific problems responding best to specific frequencies. For example, pain can be blocked using a base frequency of200Hz as this brings about hyper polarization of nerve cells and inhibits transmission of pain signals. For wound healing, a base frequency of 50Hz is most effective, with a pulse rate of 17.5Hz. Initially, pulsed magnetic field therapy was used primarily in treating horses for resolution of back and leg injuries.This was followed by widespread use with greyhounds, since these incur frequent sprains, ligament injuries and fractures, all of which respond well to pulsed magnetic field therapy. It is now used with other animals for similar injuries and has also been used to improve metabolism. The range of animals treated is wide – from elephants to buzzards! Pulsed magnetic field therapy has been found to be particularly effective in treating leg and wing fractures of small birds, as they often are difficult to splint and, in the worst cases,difficult to pin because of splintering of small bones. These injuries show a good response given daily treatment with pulsed magnetic field therapy. 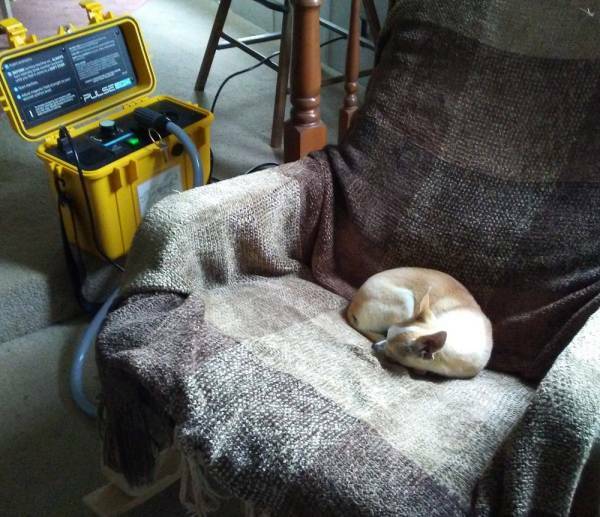 The use of a 200Hz base frequency as a pain block also has been beneficial in facilitating the examination of an injured animal. Practitioners have found that an initial 10 minute treatment reduces an animal’s distress, so that it will then tolerate further handling in order to apply treatment or to enable the manipulation of an injury. German shepherd dogs are noted for suffering symptoms which resemble those of Multiple Sclerosis. In the UK, some success has been achieved by treating these symptoms with pulsed magnetic field therapy. There is also evidence from research that nerve regeneration has been achieved under the influence of pulsed magnetic fields. Once a diagnosis has been made and the desired therapeutic frequency determined, pulsed magnetic field therapy is simple to apply and can safely be administered by the owner. This means that treatment can be given more than once a day on a regular basis between visits to the surgery – thus speeding up the rate of healing and reducing demands on the time of the practitioner. 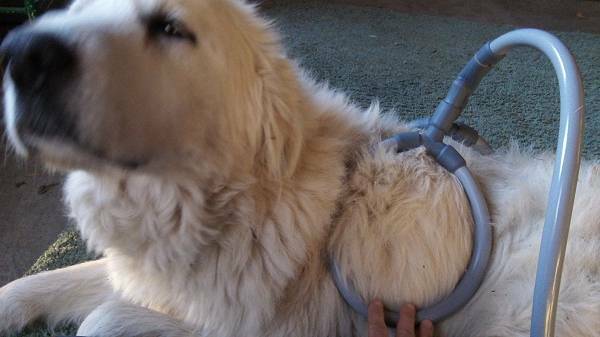 In the UK,trained animal therapists operate under the direction of veterinary surgeons to provide pulsed magnetic field therapy as part of a physiotherapy program for animals. Students come from all over the world to a training centre to be taught the methods and how to use the equipment to optimum effect. 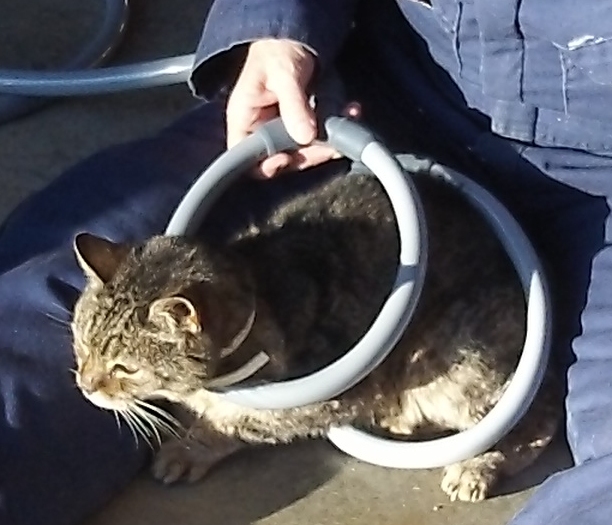 Pulsing electromagnetic field therapy in nerve regeneration: an experimental study in the cat. Effects of pulsed electromagnetic fields on bone healing in a rabbit tibial osteotomy model. OBJECTIVE: The purpose of this study was to determine the effect of pulsed electromagnetic field (PEMF) exposure on healing tibial osteotomies in New Zealand White rabbits. DESIGN: One-millimeter Giglisaw osteotomies were stabilized by external fixation. One day after surgery, rabbits were randomly assigned to receive either no exposure(sham control) or thirty minutes or sixty minutes per day of low-frequency, low-amplitude PEMF. Radiographs were obtained weekly throughout the study. Rabbits were euthanized at fourteen, twenty-one,or twenty-eight days, and tibiae underwent either destructive torsional testing or histologic analysis. To determine the baseline torsional strength and stiffness of rabbit tibiae, eleven normal intact tibiae were tested to failure. RESULTS: Sixty-minute PEMF-treated osteotomies had significantly higher torsional strength than did sham controls at fourteen and twenty-one days postoperatively. Thirty-minute PEMF-treated osteotomies were significantly stronger than sham controls only after twenty-one days. Normal intact torsional strength was achieved by fourteen days in the sixty-minute PEMF group, by twenty-one days in the thirty-minute PEMF group, and by twenty-eight days in the sham controls. Maximum fracture callus area correlated with the time to reach normal torsional strength. CONCLUSION: In this animal model,low-frequency, low-amplitude PEMF significantly accelerated callus formation and osteotomy healing in a dose-dependent manner. Pulsed electromagnetic fields simultaneously induce osteogenesis and up regulate transcription of bone morphogenetic proteins 2 and 4 in rat osteoblasts in vitro. Pulsed electromagnetic fields (PEMF) are successfully employed in the treatment of a variety of orthopedic conditions, particularly delayed and nonunion fractures. In this study, we examined PEMF effects on invitro osteogenesis by bone nodule formation and on mRNA expression of bone morphogenetic proteins 2 and 4 by reverse-transcriptase poly Merisel chain reaction (RT-PCR) in cultured rat calvarial osteoblasts. PEMF exposure induced a significant increase in both the number (39% over unexposed controls) and size (70% larger compared to unexposed controls) of bone-like nodules formed. PEMF also induced an increase in the levels of BMP-2 and BMP-4 mRNA in comparison to controls. This effect was directly related to the duration of PEMF exposure. This study shows that clinically applied PEMF have a reproducible osteogenic effect in vitro and simultaneously induce BMP-2 and -4 m RNA transcription. This supports the concept that the two effects are related. Effects of electromagnetic stimulation on the functional responsiveness of isolated rat osteoclasts. We report the effects of pulsed electromagnetic fields (PEMFs) on the responsiveness of osteoclasts to cellular, hormonal, and ionic signals.Osteoclasts isolated from neonatal rat long bones were dispersed onto either slices of devitalized cortical bone (for the measurement of resorptive activity) or glass coverslips (for the determination of the cytosolic free Ca2+ concentration, [Ca2+]). Osteoclasts were also co-cultured on bone with osteoblast like, UMR-106 cells. Bone resorption was quantitated by scanning electron microscopy and computer-assisted morphometry. PEMF application to osteoblast-osteoclast co-cultures for18 hr resulted in a twofold stimulation of bone resorption. In contrast, resorption by isolated osteoclasts remained unchanged in the presence of PEMFs, suggesting that osteoblasts were necessary for thePEMF-induced resorption simulation seen in osteoblast-osteoclast co-cultures. Furthermore, the potent inhibitory action of the hormone calcitonin on bone resorption was unaffected by PEMF application.However, PEMFs completely reversed another quite distinct action of calcitonin on the osteoclast: its potent inhibitory effect on the activation of the divalent cation-sensing (or Ca2+) receptor. For these experiments, we made 2-based measurements of cytosolic [Ca2+] in single osteoclasts in response to the application of a known Ca2+receptor agonist, Ni2+. We first confirmed that activation of the osteoclast Ca2+ receptor by Ni2+ (5 mM) resulted in a characteristic mono-phasic elevation of cytosolic [Ca2+]. As shown previously, this response was attenuated strongly by calcitonin at concentrations between 0.03 and 3 nM but remained intact in response to PEMFs. PEMF application, however, prevented the inhibitory effect of calcitonin onNi2+-induced cytosolic Ca2+ elevation. This suggested that the fields disrupted the interaction between the calcitonin and Ca2+ receptor systems. In conclusion, we have shown that electromagnetic fields stimulate bone resorption through an action on the osteoblast and, by abolishing the inhibitory effects of calcitonin, also restore the responsiveness of osteoclasts to divalent cations. Pulsed electromagnetic fields in experimental cutaneous wound healing in rats. Electromagnetic fields are now being used in many diseases such as osseous, ligamental, cartilaginous, or nervous reparation, diabetes,and myocardial or cerebral ischemia. Although many publications show the usefulness of magneto-therapy, discrepancies exist about the utility of electromagnetic fields in skin wound healing. The objective of this work was to study the effect of pulsed electromagnetic fields on wound healing in rats. 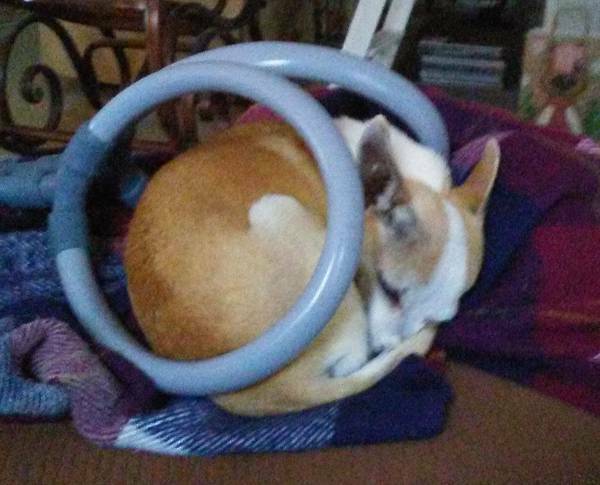 Twenty-two male Wistar rats were used; a circular lesion was made in the back of each animal. They were divided into three groups: group C (control) with sham treatment (n = 8), groupNF, treated with topical nitrofurazone solution (n = 7), and groupPEMF, treated with pulsed electromagnetic fields of 20 mT (n = 7). The treatments were 35 minutes twice a day. The absolute and relative values of the area and perimeter of the wounds showed significantly lower values in the PEMF group at days 7, 14, and 21 compared with those in group C (p < 0.01, analysis of variance), whereas the PEMF group showed significantly lower values at day 21 only compared with the NF group (p < 0.01, analysis of variance). The results suggest a significant beneficial stimulation in the wound healing process in rats treated with PEMF, which could lead to the development of a practical tool for research and clinical use. Patino O. et.al. Postgraduate Reconstruction. and Plastic Surgery, Uni del Salvador J Burn Care Rehabilitation. Enhancement of functional recovery following acrush lesion to the rat sciatic nerve by exposure to pulsed electromagnetic fields. Previous studies showed that exposure to pulsed electromagnetic fields (PEMF) produced a 22% increase in the axonal regeneration rate during the first 6 days after crush injury in the rat sciatic nerve. We used the same injury model to assess the effect on functional recovery.The animals were treated with whole body exposure to PEMF (0.3 mT,repetition rate 2 Hz) for 4 h/day during Days 1-5 while held in plastic restrainers. Functional recovery was serially assessed up to Post injury Day 43 using recently described video imaging of the 1-5 toe spread and the gait-stance duration. Footprint analysis was also used with calculation of a sciatic function index. Those animals treated withPEMF had improved functional recovery, as compared to sham controls,using the tests for video 1-5 toe spread and gait-stance duration (P =0.001 and P = 0.081, respectively). This effect was found throughout the 43-day recovery period. No effect was found using the sciatic function index. This study confirms that functional recovery after nerve crush lesion is accelerated by PEMF and has broad implications for the clinical use of these fields in the management of nerve injuries. Effect of PEMF on fresh fracture-healing in rat tibia. The present experiment was designed to find out whether PEMF can act as a healing agent on induced fracture of rat tibia. Eighty rats were taken for this experiment. Under general an anesthesia mid-shaft of tibia and fibula of all rats were osteotomied, Intra-medullary nailing was done for proper alignment of the fractured fragments. The animals were then divided into two groups: group-1 andGroup-II. Each group contained forty animals. Out of these forty animals twenty were treated as experimental and twenty as control. From the third day of osteotomy, PEMF was applied to experimental rats around the osteotomy sites for a period of nine hours a day. PEMF was not applied to the control rats. The animals of group-1 and group-II were sacrificed after applied one week and three weeks of PEMF, respectively. Radiological and microscopical examination of the callus were performed. Gross and microscopic measurements of the callus were statistically analyzed. The growth of callus was taken as a criterion of fracture healing. The results of the present experiment revealed significant enhancement of fracture healing in group-I. The results of the radiological evaluation of group-II experimental animals were also consistent with the morphological analysis. 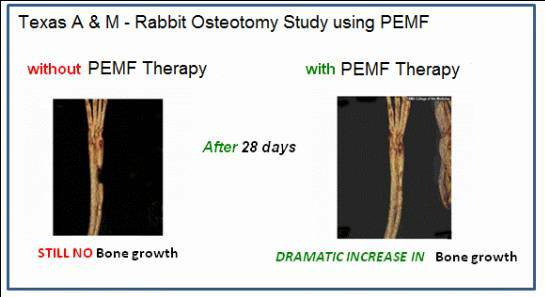 It was concluded that healing of fractured rat tibia was enhanced by the application of PEMF and this effect of PEMF was more pronounced at the end of third week.